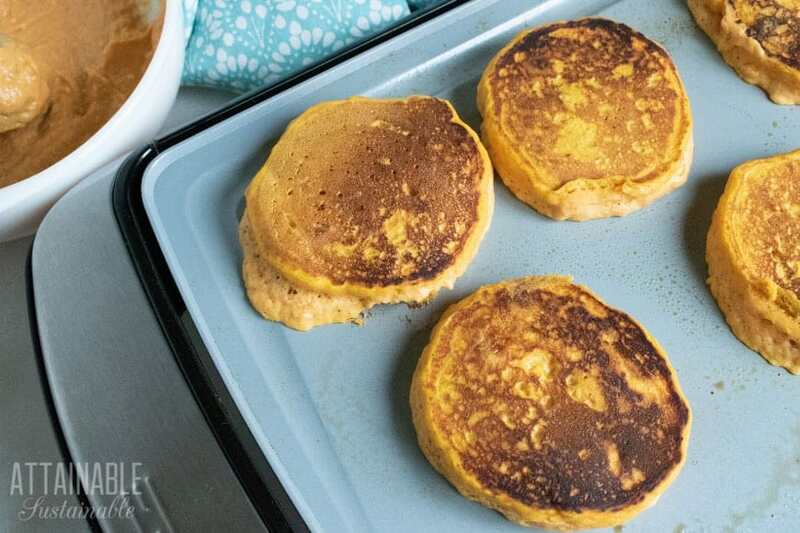 These easy pumpkin pancakes are a tasty way to add some healthy beta carotene to your breakfast table. Pancakes are a snap to make and an inexpensive breakfast option that both kids and adults love. If you’ve been sold on the idea that pancakes are hard to make from scratch, you’ve been snookered. Store bought pancake mix in the familiar yellow or blue packaging is a dry mix that needs to be mixed with milk and eggs. 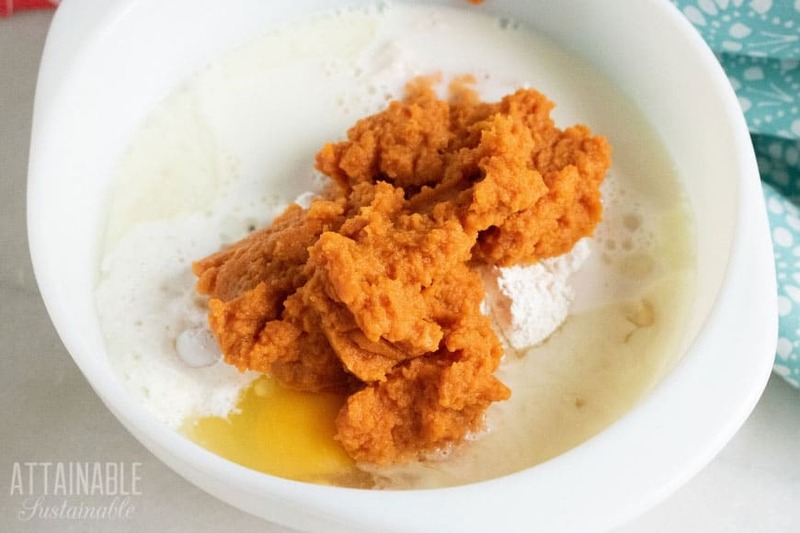 Homemade pancakes simply require you to measure a few of your own much less expensive ingredients and (you guessed it) mix them with milk and eggs. 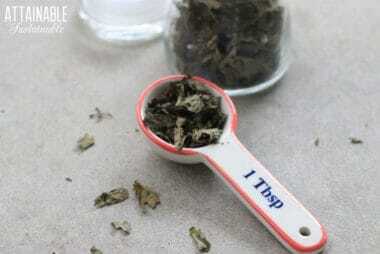 The packaged mixes might shave off a minute or two of measuring at best. If you really like to have ready to make pancake mix at hand, make up a batch of this homemade pancake mix for a fraction of the cost. 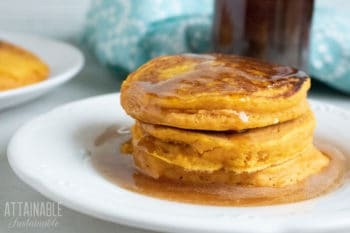 These easy pumpkin pancakes click the flavor of pancakes up a notch with pumpkin puree and pumpkin spice. Top these pancakes with a drizzle of maple syrup or homemade ginger syrup. These easy pumpkin pancakes make for a hearty breakfast with a little bit of sweetness! Combine all ingredients (except butter and nuts) in a mixing bowl. Stir until combined. Heat griddle or frying pan on medium heat. Drop the butter on the griddle and spread to coat the cooking surface. Spoon about a quarter cup of pancake batter onto the griddle. Cook on each side for 1-2 minutes or until lightly browned. Top with chopped nuts if desired. 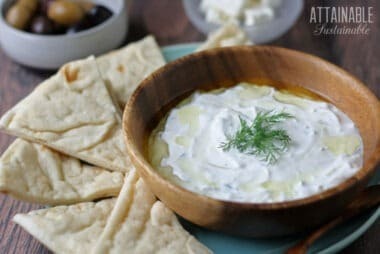 Serve with maple syrup or your favorite jam.